Movimento Danza is an art and culture association which has been working since 1979, a School of Dance ranked among the top European ones and an award-winning Dance Company known all over the world, with a youth-section among the most dynamic and creative ones in Italy. Movimento Danza has trained generations of choreographers, dancers, dance teachers and specialists who now work and get both national and international awards. Created, chaired and directed by the choreographer Gabriella Stazio, Movimento Danza has significantly contributed to the development and evolution of dance in Italy, through its many avant-garde proposals and his frequent collaborations in the fields of music, theater and visual arts. Movimento Danza has an ongoing relationship with regional, national and community institutions, with public and private cultural bodies, the world of school and university. In 2000 it obtained the recognition of the Ministry of Heritage and Culture as Stable Institution of National Promotion, unique in the South of Italy. It ‘s also the only institution in Campania to fall under the Culture 2000 Framework Programme, sponsored by the European Union, which led it to become a partner of other renowned dance organizations such as the Tanztheater of Pina Bausch in Wuppertal, the Ballet Victor Ullate in Madrid, the Laban Center in London, the Company Onnagatarea in Brussels and Mediascena Europe in Rome. Since the Culture 2000 Movimento Danza started to focusing on the organization of seminars, workshop, dance forum, interviews. By the time, these activities have became continually. Later stared many formative management activities. Gabriella Stazio even worked on supervising the Dance associations in Campania. It has became a member of the International Dance Council UNESCO since 2002 and Italian promoter of the World Dance Day. Since 2002 Movimento Danza organizes the contemporary dance exhibition Second Hand – Di Seconda Mano conceived by Gabriella Stazio. Since 2004 she is the artistic director of Performing Arts Group – Compagnia Giovani Movimento Danza: a project aiming to introduce younger dancers to theater life. 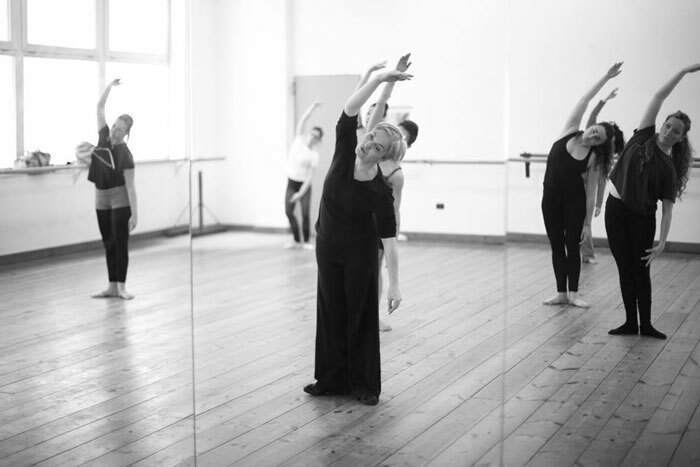 Since 2012 Movimento Danza promotes Residanza – La casa della Nuova Coreografia (a project of hospitality for young choreographers) and of My Lesson, My Body: nuovi codici della danza (a project devoted to dance training and methodology). The book 30 Anni E + In Movimento (‘Over 30 Years On The Move’) was published in 2012 – edited by Raffaella Tramontano (Liguori Editore). It traces Gabriella Stazio’s main steps during 30 years of activity as both choreographer and artistic director of Movimento Danza. From 2015 Movimento Danza is also the editor of CAMPADIDANZA Dance Magazine, a web dance magazine with a lot of news, interviews, curiosity, auditions, stages and news from the world. Movimento Danza is all this and more, one of the most successful artistic, cultural and educational reality in Europe, one of the main Italian centre of attraction and diffusion of the art of dance, a place of exchange and discussion to generate new forces and give birth to new ideas.